Battery drain is among the common issues encountered by several owners/users of Samsung Galaxy S5. 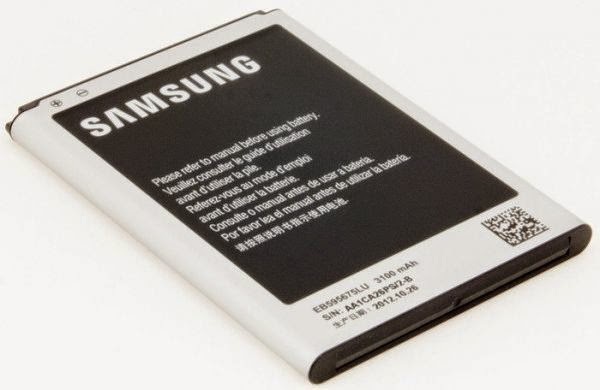 In respond to this concern, we offer you this battery life saving tipes and workarounds to save battery life, including the use of the Galaxy S5 battery saving mode. You may refer to this guide if you want to learn how to save battery life on your GS 5 handset. A. Use Battery Saving mode on your phone. One of the on/off features of the your Galaxy S5 smartphone is the Battery Saving mode for battery life saving. Follow these steps to enable this feature on your phone. 1. Touch Apps from any Home screen. 3. Scroll to System, then touch Power saving. 4. Toggle or move the Power saving mode switch to the right. Doing so will turn on the feature. Restrict Performance - this option includes CPU performance, Screen output, turn off touch key kit and turn off GPS. In case you want to turn Power saving mode off again. Just touch Apps, then go to Settings. Scroll to System, then select Power saving. Finally, touch Power saving mode to turn it off. a. Touch Apps from any Home screen. c. Scroll to System, then touch Power saving. d. Touch Ultra Power saving mode. e. Toggle or move the Ultra power saving mode switch to the right to enable or turn it on. g. To add additional options, just touch the + sign. If you want to turn off Ultra power saving mode, just go to Apps and select Settings. Scroll to System, then touch Power saving. Touch to select Ultra Power saving mode then touch the Menu key. Finally, touch Disable ultra power saving mode and touch OK to complete the process. b. Touch to select Settings. c. Touch Display under Quick Settings. e. Touch Automatic brightness (if necessary), to clear the Check box and turn off the feature. f. Touch and slide the slider left down to the lowest preferred setting. g. Touch OK to continue. i. Touch the lowest setting as you desire. The lowest is 15 seconds. B. Turn off or disable Wi-Fi, Bluetooth, GPS, Portable Wi-Fi Hotspot when not in use. 2. Touch to select Settings. 3. Scroll to Network Connections, then touch Tethering & Mobile Hotspot. 4. Touch the Mobile HotSpot switch and turn it OFF. When the switch is moved to the left and turns grey, it means the feature is OFF or disabled. 5. Now touch the Status bar and drag it down. 6. Touch and turn off the following icons/features: Wi-Fi, Location, Bluetooth, and Screen rotation. An indication that the feature is off or disabled is when each icon turns grey and the indicator light turns off. C. Change App Sync Settings. 3. Scroll to User and Backup. 5. Touch the Accounts tab. 6. Touch the desired account type, like Google for example. 7. Touch to adjust the available sync settings for your preferred account type. Generally, you will just touch the sync category to clear the check box and turn off or disable syncing, and then touch to increase the interval time for syncing. 8. Touch your email address or user name, located at the top of the screen. This will let you adjust more sync settings. 9. Touch the sync category to clear the check box and turn off settings for each applicable category/option. 10. Touch to increase the interval time for how often your device sync occurs, for each applicable category/option. D. Disable or turn off background data. 3. Scroll to Network Connections. 5. Touch the Menu key. 6. Choose the Restrict background data check box. 5. Touch the Downloaded tab. 6. Touch the desired app, then touch Disable to turn the application OFF or touch Uninstall to delete or remove the application. F. Switch from 4G to 2G. 7. Touch GSM only. Doing so will restrict or limit your connection to 2G only. To switch back to 4G/LTE, touch either LTE/WCDMA/GSM(auto connect) or WCDMA/GSM(auto connect) option, under Network mode. Fixes for battery life issues have also been offered through software updates. So if you haven't yet done updating your device software, then check for the latest software update available for your phone model and go for an upgrade. Just follow any additional prompts to complete the process. In addition, setting the phone to sleep when unused can also help save or extend battery life on your device. To do so, press and then quickly release the Power key, and your phone screen should be set to sleep mode.